My inspiration is taken from the natural world; the woodlands of the Chilterns where I have lived for 30 years and the coastlines that are enjoyed in all weathers for their changing vistas, mesmerising and sometimes dramatic waters. 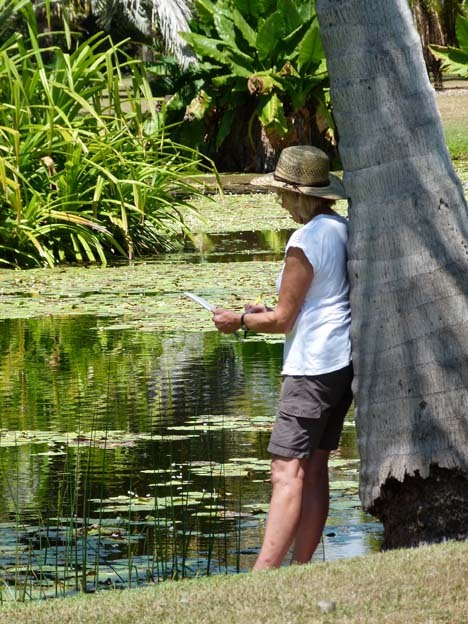 Since 2007 I have been returning to Australia to experience the rainforest and reef. Creating colour on cloth is the starting point of my textiles, which often feature painted silk layered with felted wool fibres. Working with natural fibres invites a sympathetic response, learning from the different qualities in the fibres has an element of risk and exploration. I regularly exhibit with the Contemporary Quilt Group of the Quilters Guild and have made monthly Journal Quilts since 2007. Since March 2014 I have been the Regional Co-ordinator for Region 5 of the International Feltmakers Association (IFA). Feltmaking has become an increasingly important part of my creativity. Go to the Profile page for inspiration themes and to The 2019 Portfolio for current work and developments in fabric and felt. To see how I progress inspiration into a piece of work, go to the Work in Progress page. 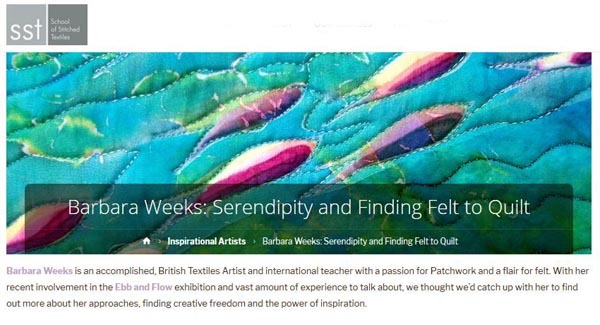 Earlier this year Barbara was interviewed by the School of Stitched Textiles, the UK’s largest distance learning centre for textiles based courses. To visit the rest of the SST website click here. Latest gallery Journal Quilts theme for 2019 is here, together with new ventures in Felt here. All the images displayed on this site are of original artwork by Barbara Weeks (unless otherwise stated). If used elsewhere she should be credited and would appreciate being informed! A number of pieces displayed in the Portfolios are for sale. If you would like to discuss the possible purchase of a piece please contact Barbara. Barbara welcomes enquiries regarding commissions.